A SCHOOL for children and young people with learning difficulties has opened a new play area which it says will greatly help with students’ development. Mabel Prichard Special School in Cuddesdon Way, Blackbird Leys, was given a £10,000 grant from the Big Lottery Fund to help them pay for the new equipment which was installed over the Easter holidays. It replaces a previous climbing frame which had to be taken down last year and is already having a positive impact, according to Gayle Didcock, the foundation and key stage one manager. She said: “Our old climbing area was not fit for purpose, it was old and dangerous and needed to be removed in September, leaving our younger children without any equipment. 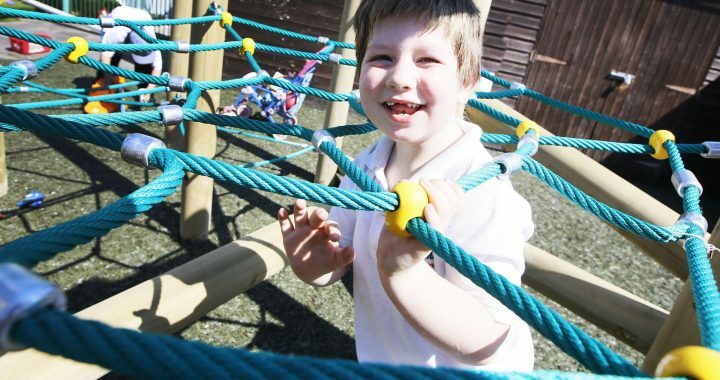 “We are a school caring for children with severe and complex needs and not having this sort of equipment, we could not give them the outdoors parts of the curriculum they should have. Along with the climbing frame, the school has purchased chalk boards and white boards for outside use to allow the children to express themselves. The school, which caters for pupils between 2 and 19, is planning to work with close neighbours Orchard Meadow Primary School to share access to the new area and will hold a celebration in a few weeks to mark the successful installation. 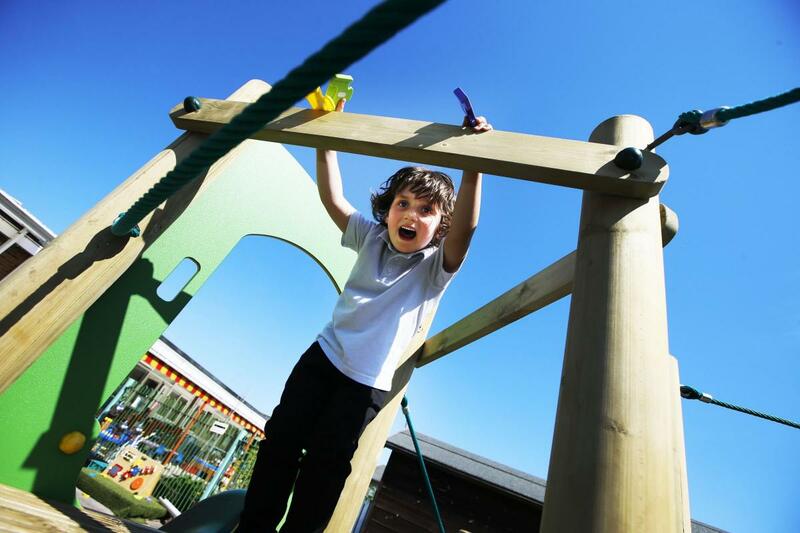 Children have been using the equipment, which includes rope ladders, slides and wooden stairs, since returning from the Easter break this week. Ms Didcock added: “It has already been so positive to see the difference it has made and to watch them problem solving. 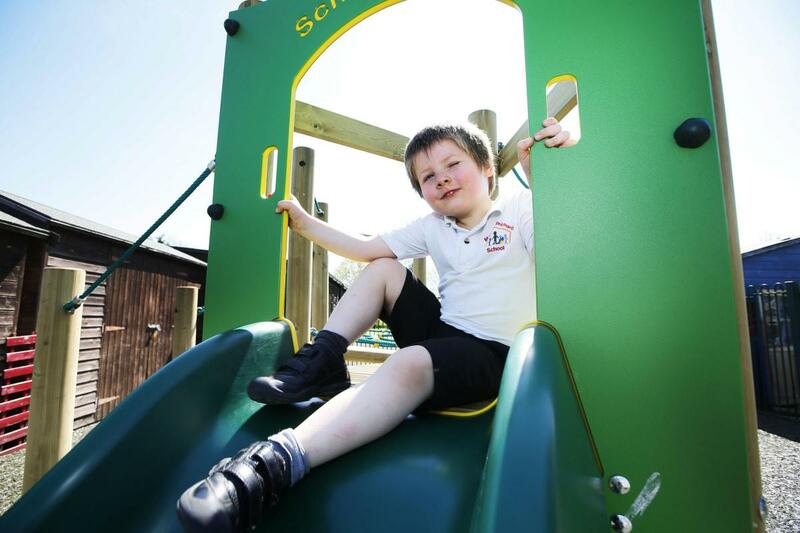 “I watched a young student find it difficult to climb up but a day later he was able to do it and go down the slide, it was a fantastic moment to celebrate. The school is now looking to fundraise for future projects to continue to expand its outdoor play options including installing a grass area. Climbing equipment used by older children has also suffered from wear and tear and now needs to be replaced.